Merely a week after indulging in the broad selection of vintage 911s at Interclassics Maastricht and we find ourselves at yet another motoring expo, yet this time focusing on the newest that manufacturers have on offer. The Brussels Motorshow (Salon de l'auto) is often disregarded by manufacturers for big premieres, yet manages to attract 500,000 visitors on average over its ten-day span. 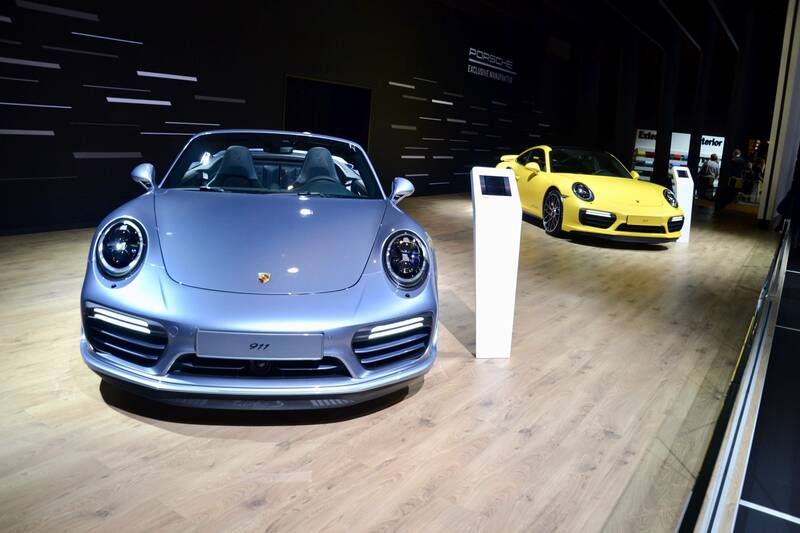 Porsche made quite an effort this year, marking its presence at two separate stands at the motorshow and bringing along a fine collection of 911s, which we highlight below. The Carrera T sheds 20kgs of weight versus the Carrera from losing its rear seats and PCM system. The Carrera T shares the entry 911's turbocharged 3.0L flat six, yet sprinting 0.1 seconds faster to 100km/h thanks to a shorter gearbox ratio. On the outside the Carrera T sits 20mm lower than the stock Carrera as it is fitted with PASM as standard. Side mirrors are finished in Agate Grey and its 20” Carrera S wheels also feature a titan grey finish. The car on display is finished in Racing Yellow, one of the non-metallic options available for the T next to Black, White, and Guards Red. Available metallic colours are GT Silver, Carrera White and Jet Black, with Lava Orange and Miami Blue added as special finishes. 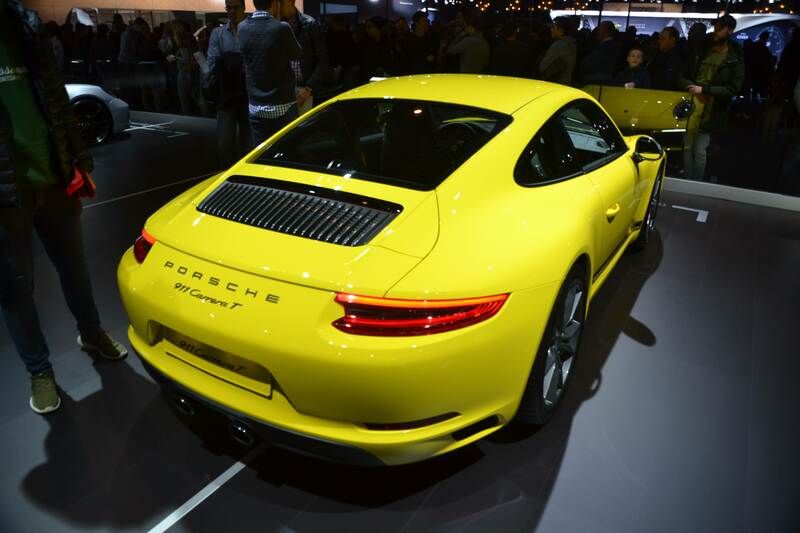 A stock spec Carrera T will cost you about 10,000 Euro over the entry Carrera. Read more about it here. Two unique Turbo S models were displayed on a dedicated Porsche Exclusive podium. Both cars were finished in paint-to-sample colours and featured plenty, if not all, of Porsche Exclusive's signature treatment. 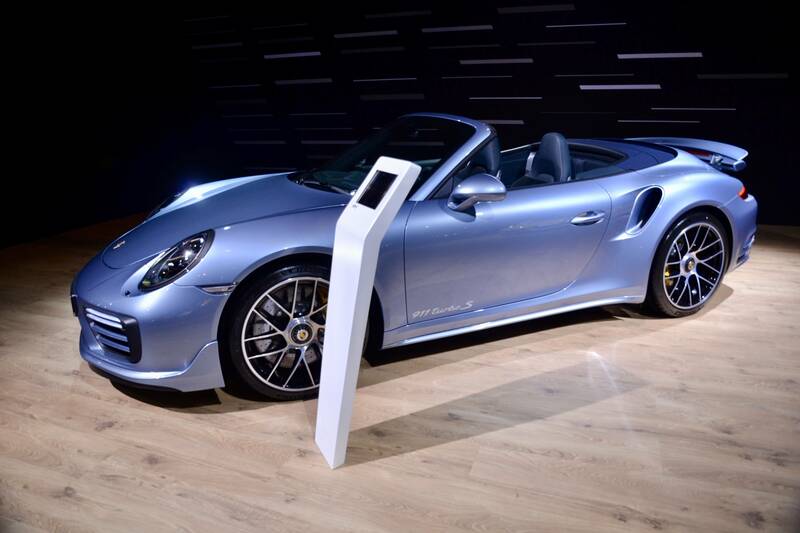 This Turbo S convertible with optional Aerokit was finished in Ice Blue Metallic, a complex, multi-layered tone of light blue that seems to sit between Fountain Blue Metallic and Liquid Blue Metallic. 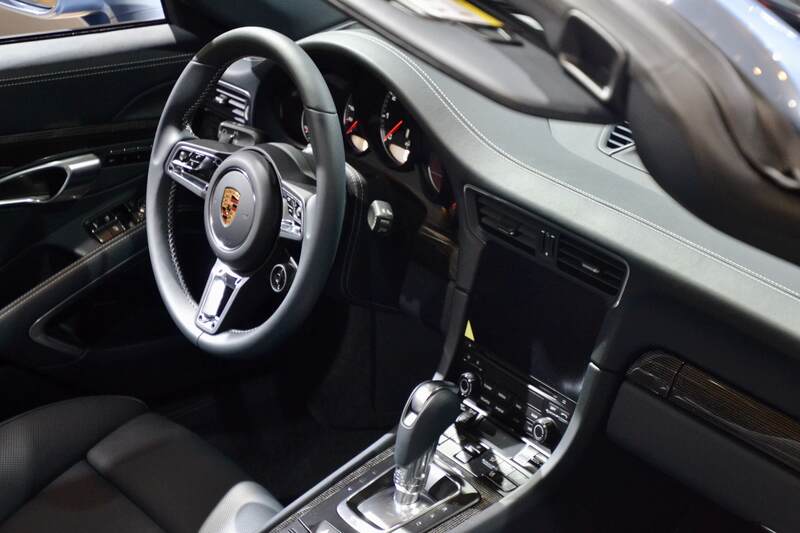 The car's blue interior featured a maximum of Porsche Exclusive leather options, including on the seat backrests and the steering column, which with contrasting stitching delivers an excellent touch of high-end class. The Turbo Coupé was finished in a stunning Saffron Yellow Metallic, a distinct yellow tone built up in four layers with intermediate sanding. 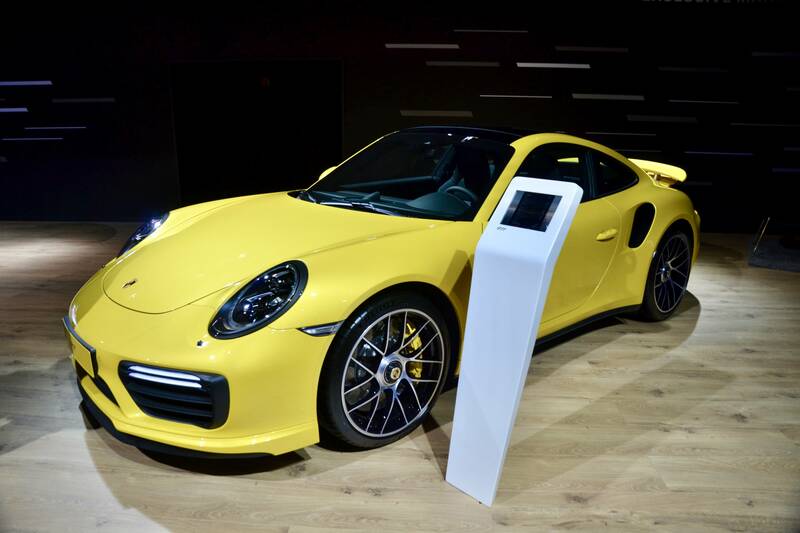 Saffron Yellow is available exclusively to the Turbo models for an approximated cost of 10,000 Euro. 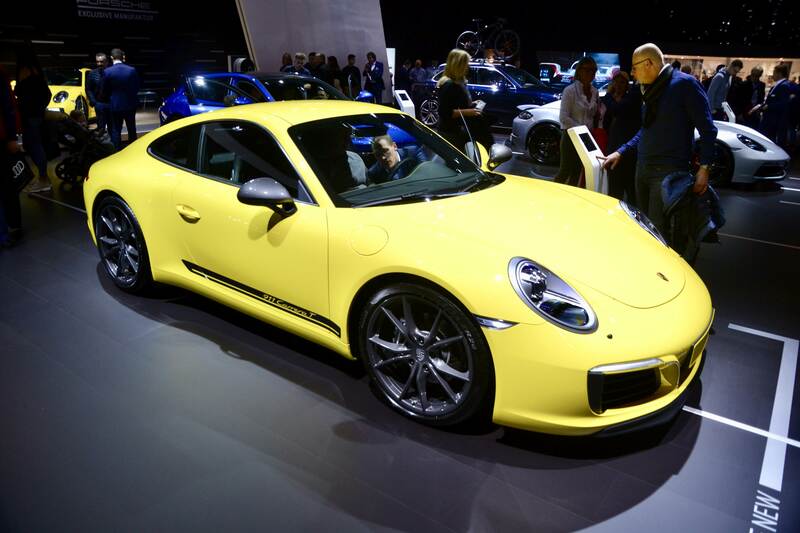 The hue is exceptionally brilliant, adding depth and warmth - especially in comparison with the Racing Yellow of the Carrera T only a few meters further. It was so hard to contain our excitement for this first live encounter with the new pinnacle of the 911 range. The most powerful 911 ever that smashed the Nürburgring record looked extremely imposing, perhaps even donning a shadow over the RSR on display just next to it. 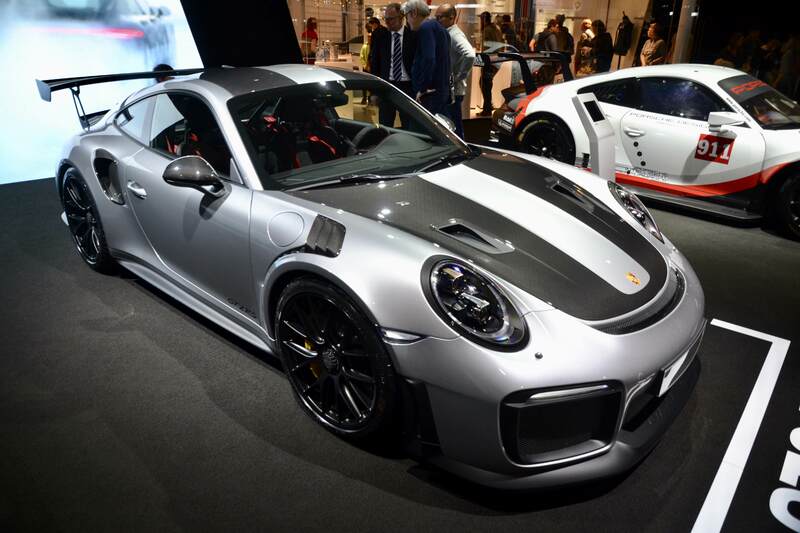 Fitted with the must-have Weissach Package and finished in GT Silver over gloss black wheels, the looks of the GT2 RS are as uncompromising as its performance. 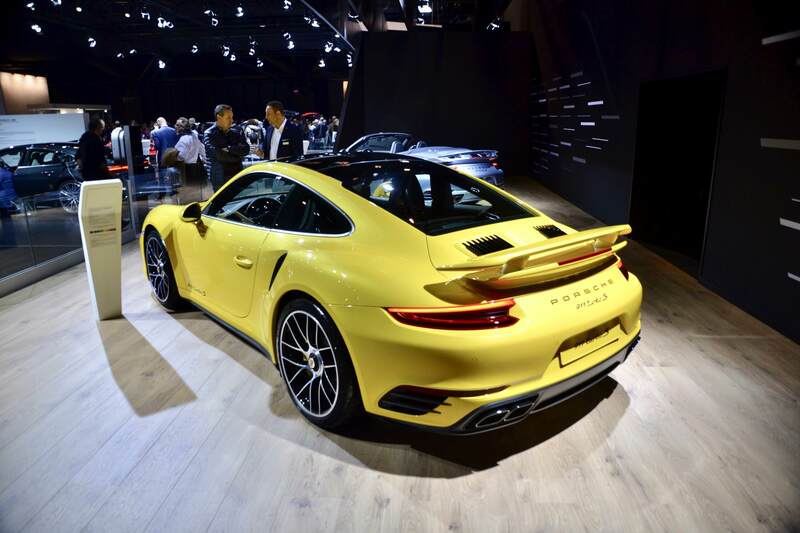 Read all about the latest über-911 here. 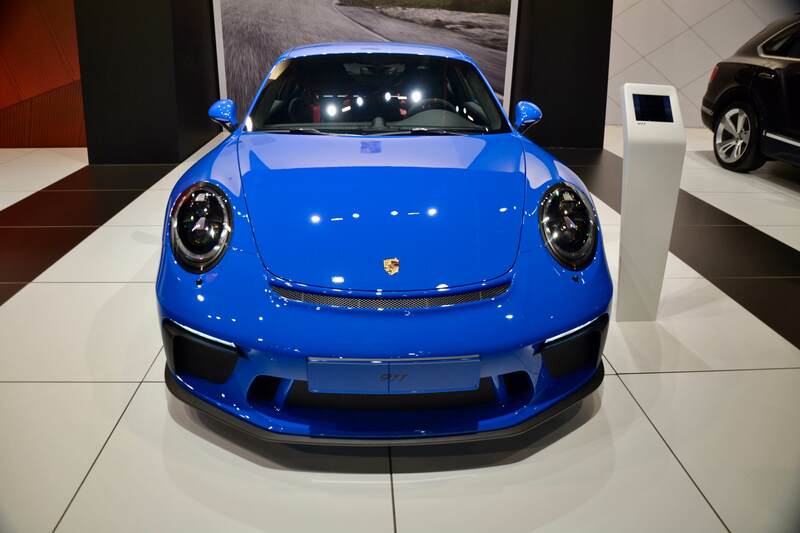 Most of us know Voodoo Blue as the distinctive finish of the US spec 991 Club Coupé. 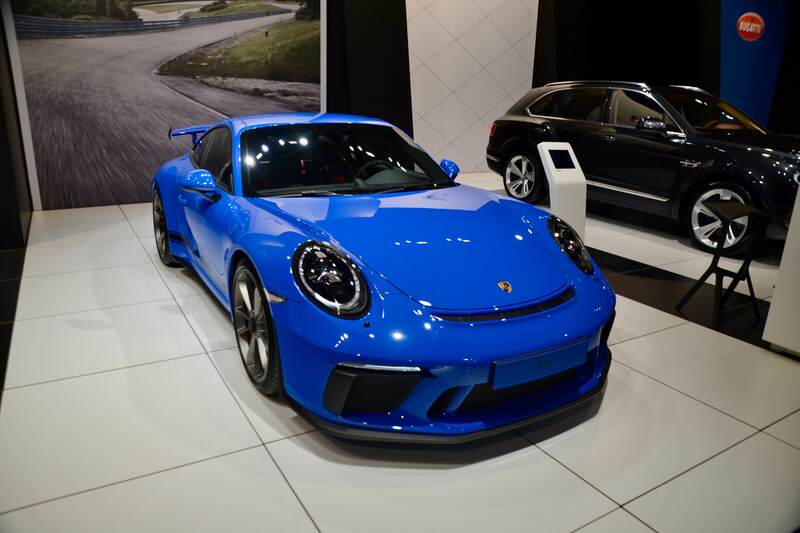 The color has since been available in Porsche's paint-to-sample menu. Having seen the color live, it appears to stand in between Arrow Blue and Maritime Blue, with the former a shade lighter and the latter containing a more distinctive purple hue. 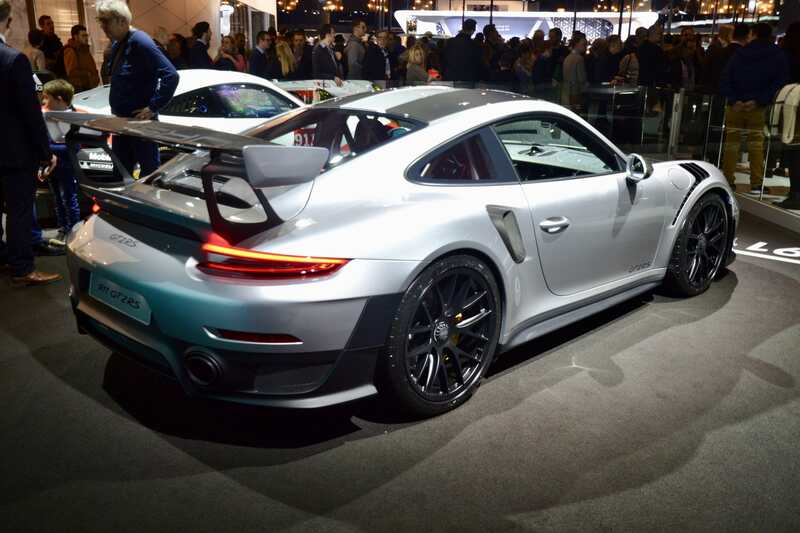 It looks particularly great on the facelift 991 GT3 as the pictures illustrate. This GT3 features black CXX side decals, satin platinum wheels and was fitted with a Clubsport Package.